With Christmas rapidly approaching, we’re looking at continuing our rolling cycle of AV refreshes in rooms across campus and planning to add in painting, carpets, furniture replacement and other works where needed so that we can return the rooms to use with a fresh new feel - inspired by the popularity of the new Spring Lane seminar rooms. First on our list are six rooms in James College. We plan to upgrade G/N/001, G/N/002, G/N/010, G/N/013, G/N/020 with widescreen, brighter projectors and the kit to feed them including HDMI inputs for more modern laptops. We’re also going to replace the carpets - and install new, high quality induction loop systems while we’re doing it - and tidy up the walls so that we can add more boards space. 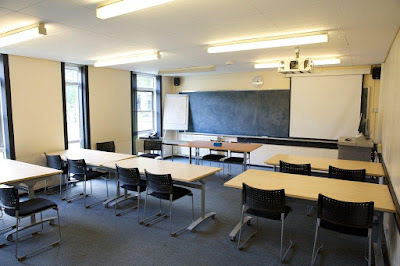 In rooms that are currently set out in rows, we plan to swap them to a horseshoe style - with a teaching desk rather than a lectern and comfier chairs all round. B/M/023, B/M/049 and B/M/052 are also due an upgrade. Again, we’ll be putting widescreen projectors and HDMI in each room, as well as a teaching desk to complement B/M/049, with its round-table layout. 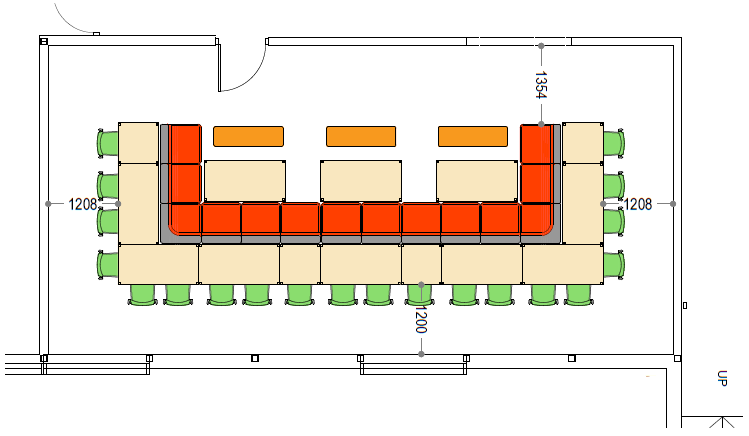 B/M/023 and B/M/052 will keep their current layout, with the lecterns replaced and new boards across the front walls. Following the success of the writing surfaces in Spring Lane, we’ve keen to provide as much useful writing space as possible, so have asked suppliers for these works to suggest new ways that we can do that. Also in Biology, we’ll be undertaking more extensive works in B/B/103, including a ceiling and lighting replacement and build of a new teaching wall. 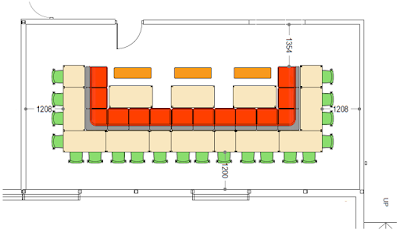 As well as the AV upgrade, that’ll mean a new layout, possibly based on the more group-work friendly furniture found in seminar rooms SLB/210 and SLB/211 on the top floor of the Spring Lane Building. W/N/218, formerly a PC training room, will be converted into a new seminar room, with new kit AV kit and a new layout, once the power and data sockets have been removed from the floor! V/B/023 eLab will also receive a new AV equipment install, including a move to widescreen projection. While we work on initial pricings, more detailed feedback requests have been sent to local users and to any use of the spaces recently. However, feedback from everyone is welcome - please email your questions or comments to learning-spaces@york.ac.uk!